Daily ticket drawing for performers and users! 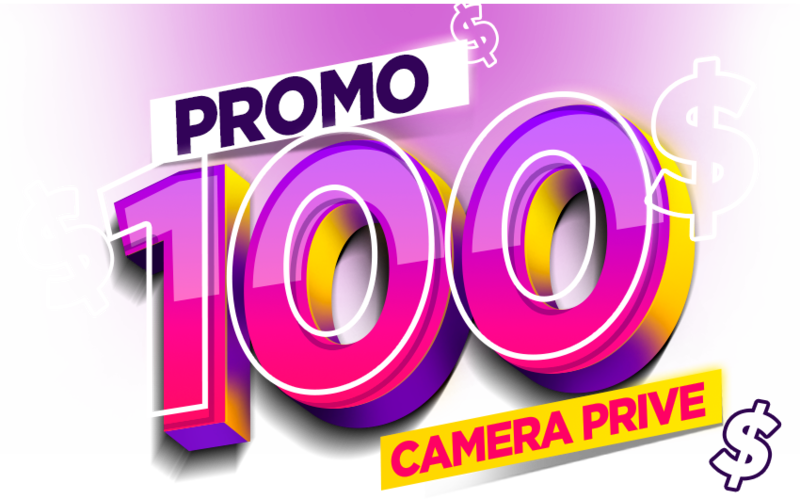 Another promotion at Camera Prive has just came out of the oven and waiting for you! This time we will be giving away 100 credits for 10 DAYS! Have you thought about what you could do with 100 free credits? How will this promotion work? The promotion starts on 04/04 and runs until 04/13. Every 5 minutes in a paid live chat with a performer from any category, will earn you a ticket in the drawing the following day. What paid chat modes are eligible to earn tickets in? All tickets accumulated in one day will only be valid for the next day's drawing. Example: If you have earned tickets on 04/04, those tickets will ONLY be valid for the drawing held on 04/05 and so on. All accumulated tickets can be checked at the bottom of the promotion page. How will the drawings work? Every day at 16:00:00 UTC -3 (BRST), the daily drawing will take place for the previous day's accumulated tickets. The results will appear on the promotion page. You can find out which lucky users and performers were drawn that day and keep an eye on the clock to find out how much time remains until the next drawing. Every day you have a new chance to win! Don't waste time, enjoy the chat shows with your favorite performers and you could win free credits for your account. 5 user tickets and 5 performer tickets will be drawn every day!